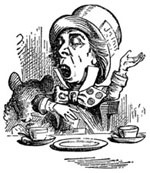 Mad Hatter Books specialises in second hand, collectible and out-of-print children’s books, dating from the Victorian era to the present day. Having such a specific focus allows us to provide expert advice, coming from a solid knowledge base – an expertise built up over years of interest. The business began in 1998, based at home in suburban Auckland, New Zealand, on the lower slopes of Maungakiekie – an extinct (we hope!) volcano. We are a mother and daughter team – Jacoba’s life-long passion has filled her house with books, particularly those for children; carrying on in her footsteps, daughter Helen has developed that passion into a flourishing business. The books we read as children are the ones that stick with us for life, forever vivid in our minds. For us, there is nothing more satisfying than reuniting a customer with a childhood friend, once thought lost for good. 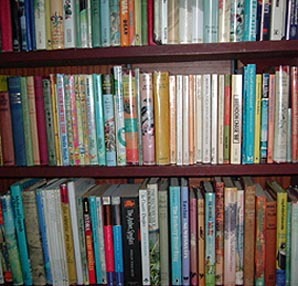 From fantasy to adventure, picture books to school stories, Mad Hatter Books have an inventory of thousands. Is your favourite one of them?